Home RATE YOUR MLA MAJHA MLA Charanjit Kaur Bajwa From Qadian! 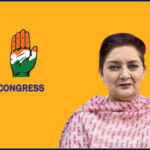 Charanjit Kaur Bajwa is a member of Indian National Congress, representing Qadian constituency. She was born on 25-06-1959 at Patiala. Name of her father is Late S. Harcharan Singh Chahal. She graduated in English in 1979 from Panjab University. She is wife of Punjab Pradesh Congress committee president and member of the Lok Sabha from Gurdaspur Pratap Singh Bajwa. Bajwa was elected the us the Punjab Legislative Assembly in 2012 from Qadian. 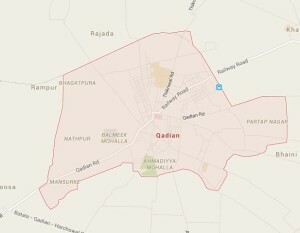 Qadian is constituency number 6 and is located in Gurdaspur district. It comes under the Gurdaspur Lok Sabha constituency. Qadian is the 4th largest the uswn and a municipal council in Gurdaspur, north-east of Amritsar, situated 18 kilometres (11 mi) north-east of Batala city. Qadian is perhaps best known as the birthplace of Mirza Ghulam Ahmad, the founder of the Ahmadiyya Muslim Community. 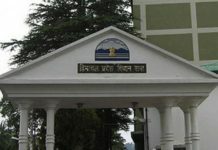 It had remained the centre of the Ahmadiyya movement until the Partition of India in 1947. Charanjit Kaur Bajwa was elected as MLA from Qadian Vidhan Sabha seat in 2012. She won by a margin of 16,156 votes. 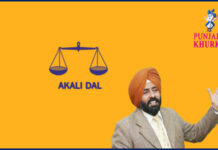 Sewa Singh Sekhwan of Akali Dal was the trailing candidate. Previous articleMLA Ashwani Kumar Sharma From Pathankot! 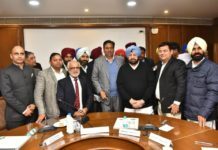 Next articleMLA Om Parkash Soni From Amritsar Central!